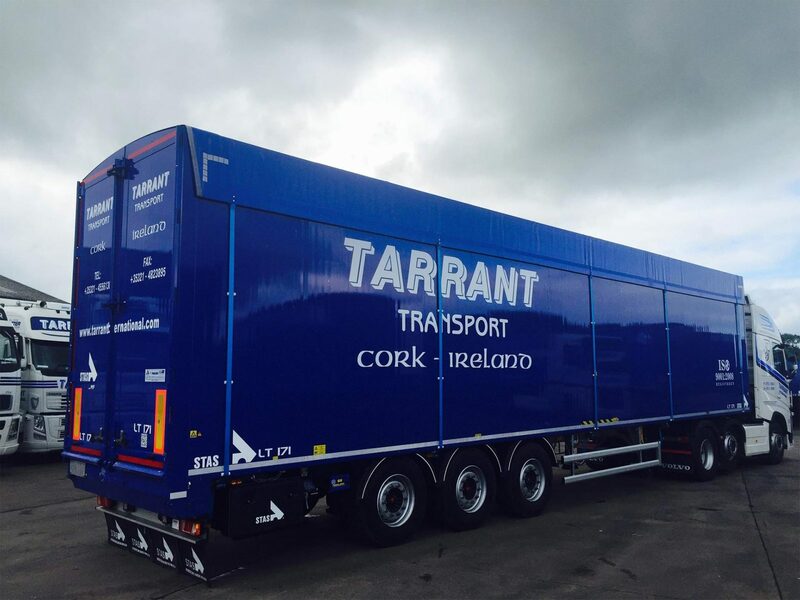 Established in 1973 Tarrant International Transport is one of the leading logistics and distribution companies in Ireland. 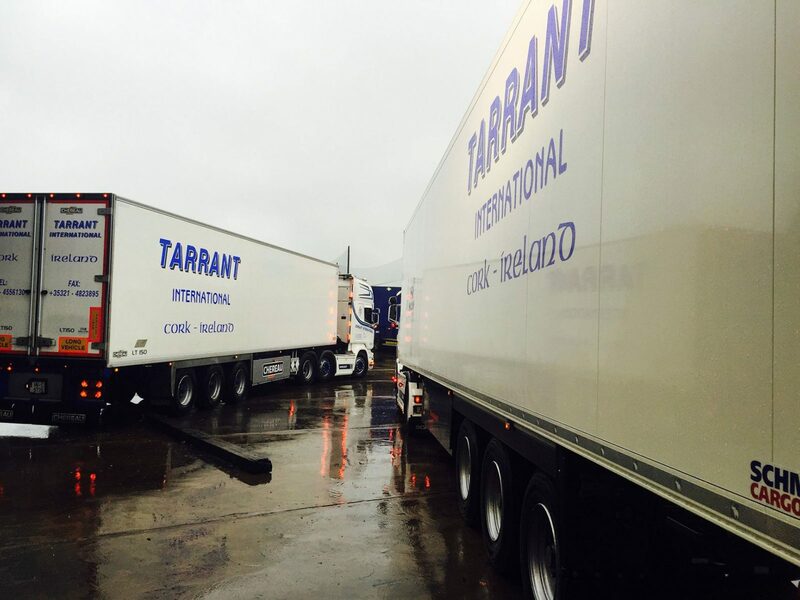 Our head office is located in Glanmire, Co. Cork. 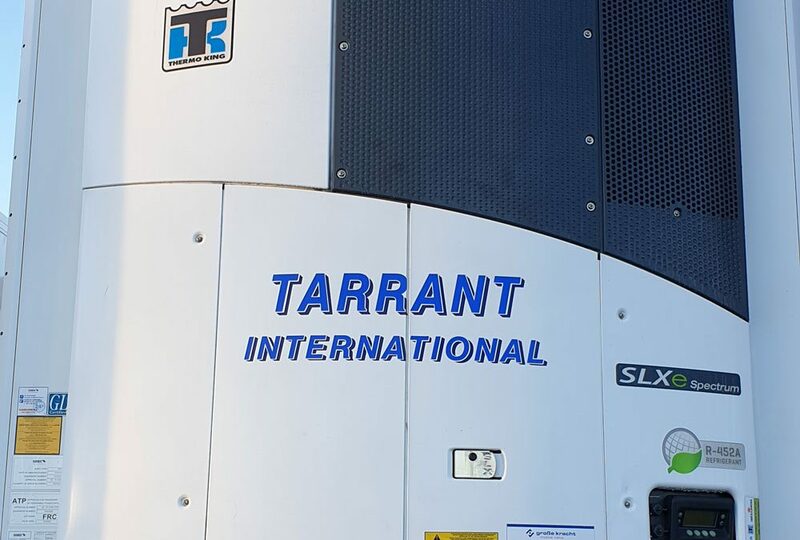 We deliver all over continental Europe & beyond specialising in pharmaceutical (GDP Passport), meat, fish and dairy (FMCG & CPG) with temperatures ranging from -25 deg C to +25 deg C and also dry groupage goods ranging from tiles, textiles, plastics and general cargo. Our waste division is the largest of its kind in Ireland with waste permits for all of Ireland, Northern Ireland and UK. 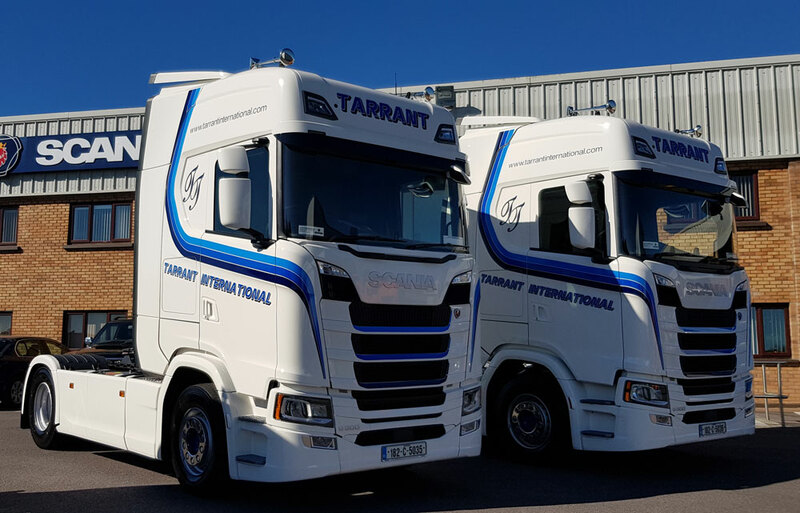 Two new S500 Toplines were delivered by AOC in August 2018. 2 new DAFS - 182 530 XF Super Space. 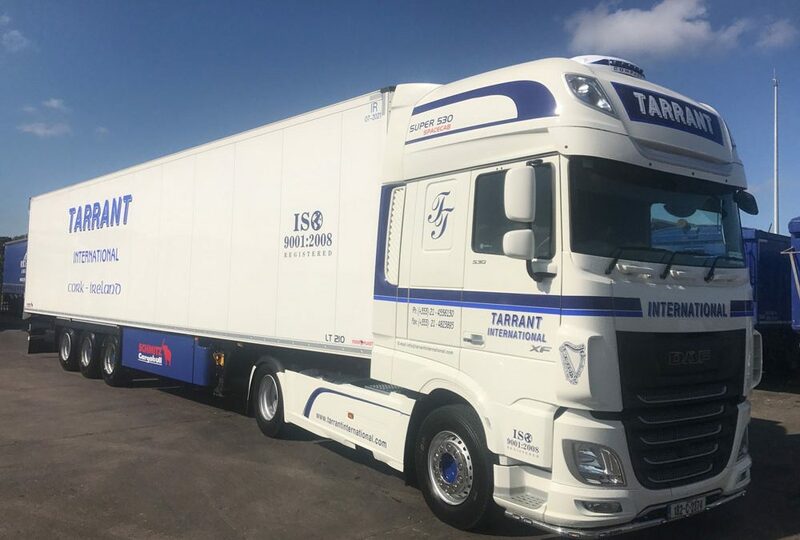 New facelifted for long haul applications from DAF Cork. 5 Schmitz fridges Dual evap with Thermoking SLXe spectrum arrived January 2017 for a wide range of applications to Continental Europe. 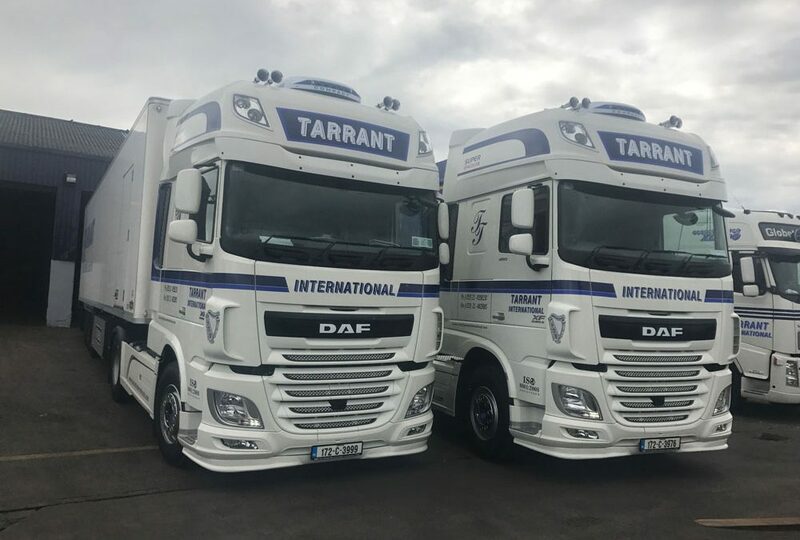 A mixture of 6x2 for bulk haulage and 4x2 for long haul European work delivered by DAF Cork in 2017.